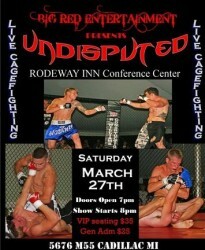 This Friday, MFL presents Extreme Cage Fighting at the American Legion Hall (1701 W. Genesee St., Lapeer, MI). Visit www.mfl-mma.com for more information. Have you ever considered becoming a mixed martial arts referee of want to refine your skills? Do you want to know what it takes to become an educated Referee? 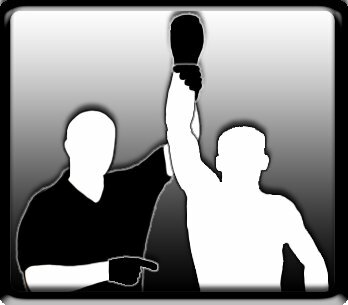 With the explosion of MMA; Promoters, Fighters & Fans deserve an educated MMA Official at their events. Consider taking a 2.5 day seminar with an International MMA Referee: Marc Fennell. Marc has experience as an international MMA Referee and has been in the cage to referee over a thousand fights. He has been assigned to referee throughout the Midwest, Puerto Rico, Costa Rica, Canada, KOTC, and the UFC at UFC 90 in Chicago. Some of the topics that will be covered include but not limited to: Fouls, rules, pre-fight and post fight responsibilities, positioning, mechanics and much more. You will not only learn about being a referee, but most importantly, how to perform these tasks properly with consistency cheap oakleys keeping in mind of fighters safety. The instructional portion of this seminar will provide you with vital information in taking your first steps to becoming a quality referee. The hands on portion offer the opportunity of refereeing simulated bouts ( sparring sessions ) with skilled fighters in a live session. 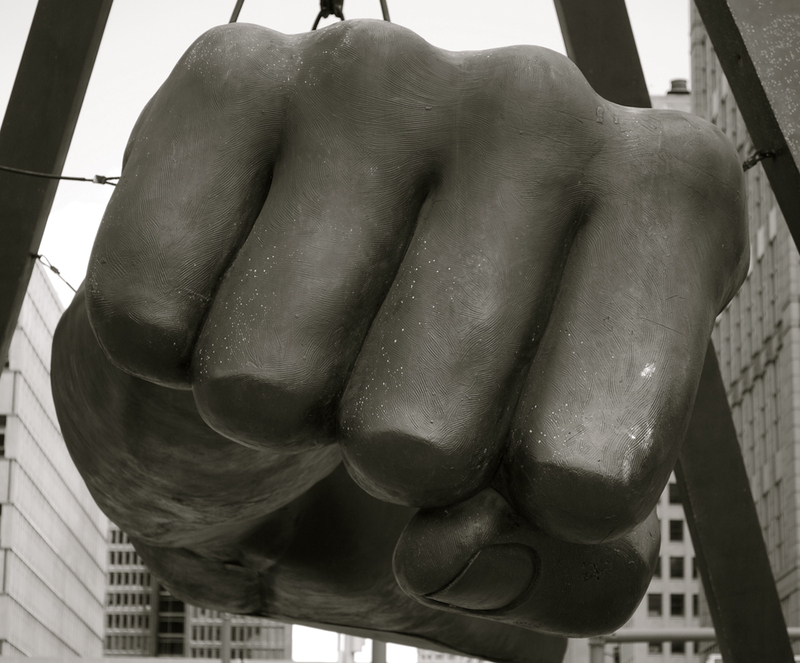 The fists and feet will fly this Saturday, March 27 in New Boston, Michigan! 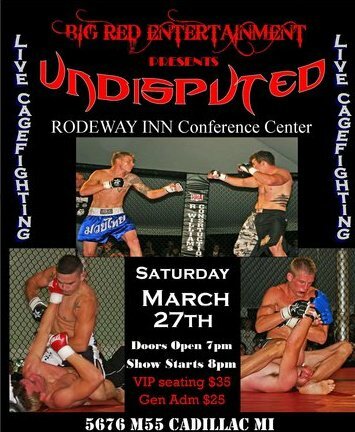 Michigan’s most prolific MMA promoter, Matt Flynn of Xtreme Cagefighting Championship, is back at it this week, with “Duel in Downriver 6: XCC 49” this Saturday, March 27 at Huron New Boston High School in New Boston, Michigan. 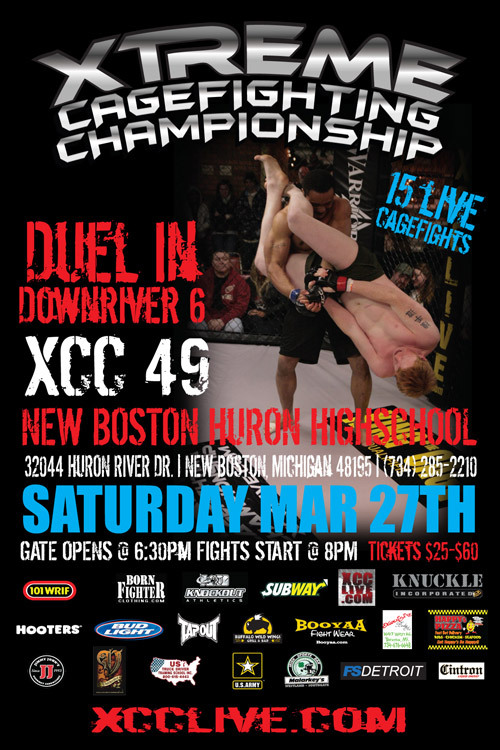 In addition to the non-stop full-contact action, “Duel in Downriver 6: XCC 49” will also feature a pair of exciting XCC championship bouts. Mike Gantner of Downriver’s terrific Scarred Fight Team will face Greenville, Michigan’s Travis TraVesty for the XCC Flyweight Championship, while Detroit’s Mark “Maniac” Johnson will face Scarred Fight Team’s Roy “The Dozer” Williams for the XCC Light Heavyweight Interim Championship. And as a special bonus, the event will also feature an XCC Middleweight Qualifier between James ‘Rock” Brown of Flint and Brian Wendell of Lincoln Park’s American MMA. In all, 15 fights are scheduled. 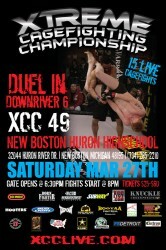 Tickets for “Duel in Downriver 6: XCC 49” are priced between $25 and $60 and are available at the Huron New Boston High School store, Meijer stores, tickets.com or by calling 800-919-6272 and at the XCC’s online headquarters, xcclive.com. Group discounts are available by calling 248-202-4662. Doors open at 6:30 pm on fight night and the action begins at 8:00. The Huron New Boston High School is located at 32044 Huron River Drive in New Boston. Big Red Entertainment Presents “Undisputed” at the Rodeway Inn (5676 M55) in Cadillac, MI. 2 Championship Belts on the line. Tickets available at Altered Tattoos(Cadillac), Rodeway INN(Cadillac) or call 231-878-9555. VIP $35, General Admission $25. Also don’t miss the after party inside Cheap NFL Authentic Jerseys the Rodeway. UFC 111 will be on the big screen, drink specials and much, much more!! Tagged Big Red Entertainment, Marc Fennell, MFL, MMA Judge, MMA Referee, MMARCS, XCC 49. Bookmark the permalink.